You would not want to be depressed for the next four months because you are too broke to purchase any more games and you are already done playing your remaining ones as much as you could. Likewise, hours of playing games on PC could be too engaging, but it will eventually leave you with poor eyesight and a painful back. However, a bit of smart planning and investing in the right kind of tools can help you improve your gaming experience to a great deal. Here are a few tips that you should follow to have a better gaming experience. It is understandable that you must be too excited to play a game as soon as it launches. However, the launching price is the most expensive one too. Hold your horses, look around your library and see if you can find a game you have not finished yet or if you can play some again for some time. The worst thing about games and anything tech is that they become out-dated quickly as soon as a new one braces to enter the market. This is also the best thing because it means it loses its value quickly. That is exactly what you can use to your advantage and wait for the game to go on a sale price. Even if the brand itself does not announce a price cut, many gamers put up their games at a lower price on stores such as E-Bay and Amazon, and you can always grab one from there. Regardless of how tuned, you are to the mouse and keyboard combo for the gaming experience; you need to try your hand at the gamepad. Some games become super fun when played on a gamepad, instead of a mouse or a keyboard. Imagine leaning against your couch or the headboard of your bed and enjoying the gamepad experience without having to bend forward. If your game does not support the gamepad, you can use tools such as Joystick Mapper to enable it for your game. The fact that tech products have a knack of getting obsolete is annoying, and it also means that your newer games might not run as smoothly and nicely if your drivers and graphics cards are not advanced enough to support their specs. Make sure your PC hardware and software along with the RAM is upgraded and updated enough to support the games. A good set of hardware and drivers do not merely mean that they should be able to run the game, but they should be able to run the game smoothly without breaks, the loading speed should be great with a reasonable FPS and of course sharp graphics. A quick search on Google about your existing drivers and graphics card will help you figure out what will be the right upgrade for you if any. 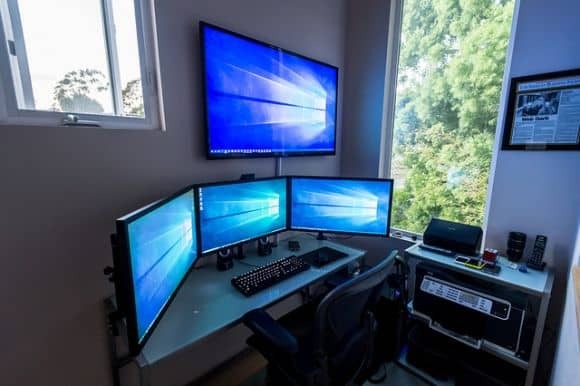 Even if you manage to get a reasonable large PC monitor, it would be still too small let you lean on a pillow at a distance and still be able to enjoy all the sharp graphics. Think of a cinematic gaming experience where you can see your game run on a large wall-mounted LED. All you need is an HDMI cable to connect the screen with your system. You can easily get a reasonably priced LED from vendors such as https://www.bibiled.com/ without putting a huge dent on your pocket. Previous post: What Is Tech Tourism?